We had the pleasure to be asked to guest on the popular podcast VoiceFirst hosted by Bradley Metrock. We have done radio interviews before but this was our first podcast. Just to add to the mix, it was live and it was the first live podcast at the London Book Fair. We knew it was going to be at the new Fireside Podcast Stage but for some reason we had not expected there to be a fireplace but, as you can see, there was! We felt we should have been wearing smoking jackets and sitting in tall backed Chesterfield armchairs. Bradley’s podcasts focus on the fast developing world of voice technology, focusing mainly, but not exclusively on virtual assistants such as Alexa. Virtual assistant advancements have slipped under the radar for many publishers, unaware just how fast growing this technology has become and how extensively it is being used by their existing/potential customer base. But ignore it at your peril, publishers! Smart speakers, such as the Amazon Echo are a significant enough part of the home and the way people search for content that overlooking them is foolhardy. For storytellers, it means also learning more about how virtual assistants can become additional consideration to the way stories are told. Of particular interest to us, as animators, is the development of the visual side of voice interaction. With smart speakers such as the Amazon Echo Show containing displays, our interest has been peaked by the possibilities that are now open to us. Currently these small displays are largely used to display the graphical results of a search request, display album art whilst listening to a song, demonstrate how to cook up a particular recipe, or play your favourite TV series for instance. But the accessibility and immediacy of virtual assistant technology make it an attractive possibility for storytellers creating their own content. Add to this the ability to link the assistant to a separate speaker and lighting system in the home, and you can see the potential for creating atmospheric storytelling experiences is huge. The caveat is that the display is just not visually impressive enough at the moment. The Echo Show screen is small and still feels like a bit of an add-on. On the other end of the spectrum, smart TVs have the quality of display and the ability to accept voice commands but this is limited to the functionality of the TV itself and nowhere in the same league as smart speaker’s voice command technology. It will be interesting to see the way technologies merge in the future to bring a truly smart audio-visual experience where visual storytelling can really fly. 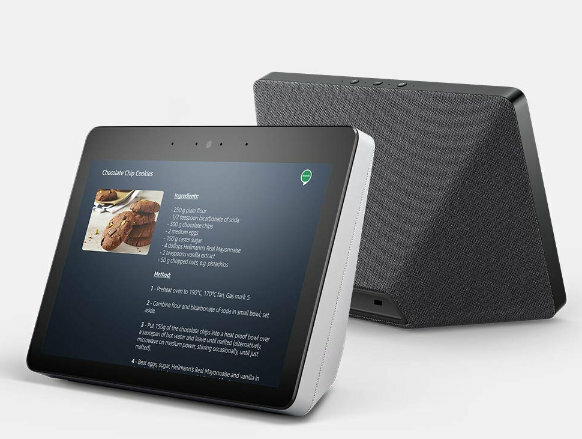 Note: Smart speakers can be connected to your TV via your smart phone to control TV functions but this is not the same as using the tailored display you have on an Amazon Echo. 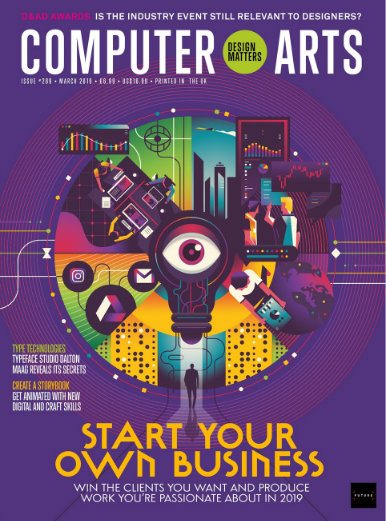 We're in the March issue of Computer Arts! 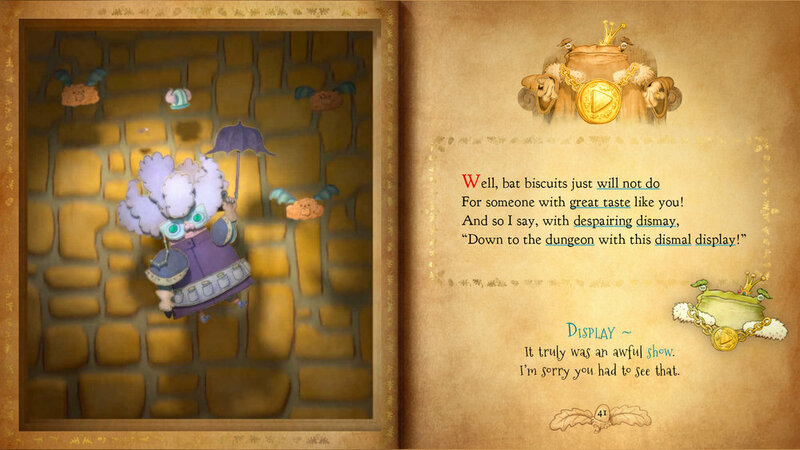 We are really pleased to be featured in the latest March issue of Computer Arts detailing the work that went into creating the children’s interactive storybook, Galdo’s Gift. Here’s a snippet of the content with a link at the end to where the complete article and magazine can be found. As well as a fantastic five page article on us :-) and the latest on the world of digital creators, there is invaluable information for anyone considering starting their own creative business. Galdo’s Gift: The Boovie was the culmination of a style of illustration and animation we had been developing for a while. We had a story that originated from a short poem and it seemed the perfect vehicle to demonstrate and consolidate the skill sets of our new studio. As the story evolved we tested it with children aged five through to 11. This gave us invaluable feedback on the age of our readers, how they understood the story, what they found funny, their favourite bits and so on. With regards to the story, it’s the tale of a frog, King Galdo, who sends four robust little heroes out to the far corners of Galdovia to bring back a very special gift for the reader. Only, he’s not quite ready for what they return with. We were intrigued by the idea of a book that comes alive and talks directly to the reader, and keen to play with the possibilities of the digital storybook format. We knew it would work well with our playful style of animation. So it’s been quite a year to say the least, full of ups and downs. This is the year we released our first interactive publication, Galdo’s Gift. It gave us a chance to really see what our respective skills could produce. Could we create a complete all-round product that would engage it’s audience? Would we be able to work creatively together without throwing our iMacs at each other? Would anyone notice what we’d done? Thankfully, mostly, yes. Much to our relief, we found we could create and complete a unique interactive story and develop our own style and techniques whilst doing so. Something that we could carry forward to future projects. We learnt our respective roles, Eleanor creating the beautiful sets, with myself creating the character work. Getting noticed was, and still is, a monumental challenge. The traditional literary world can be a frosty place, especially when your work does not fit within the traditional bounds of printed literature. It took us a long while to realise that. There can be a mindset when it comes to books, and that mind is quite firmly set, in many cases, on print and the printed page. We get it, we understand. We love print books too. In a way Galdo’s Gift was a homage to print but we’ve learnt that we were maybe pushing our wares too much to the wrong crowd. In April there was a welcome refocus onto our first outside job for Tapocketa Studio; Welcome to Tallowmere. The challenge was to create an interactive webpage using the haunting artwork of Keaton Henson, a talented musician on the behalf of Faber Music Ltd. There is a lot that you discover about your abilities when you are set such a challenge. Our own artwork style is poles apart from Keaton’s. In fact it was hard to see just how Faber had made the mental leap from our work to his, but it was a chance to show how we could adapt. 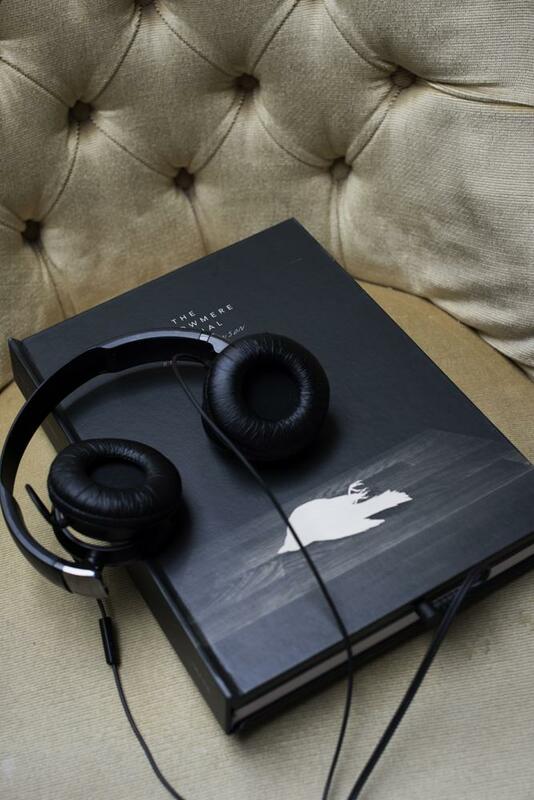 The result was a landing page that animated Keaton’s work into life and was a big part of a successful publicity campaign for his book; a collection of his artworks, poetry and music (the book has a headphone jack to enable you to listen to Keaton’s specially composed music). It was a joy to work on. Over Summer we worked hard on expanding our contacts, creating content for our channels and meeting real people at a number of festival events. Then came a monumental October. October was an eventful month with the wonderful surprise of finding out that we had been nominated for six Digital Book World Awards. Seeing our names alongside Disney and Netflix was a bit of a shock and we were delighted to go on to win four, including best book overall for Galdo’s Gift. The same month saw us pick up a gold medal in the enhanced ebook/app category at the Moonbeam Children’s Book Awards. And, as if that wasn’t enough, sign with a big worldwide illustration/animation agency that, out of thousands of applications a month, picks ten -a year. So was that the end of it for October? Nope (..really liked October). It was also the month that we linked up with someone who, as a developer of publication software with his sights firmly set on the future, offers really exciting opportunities for up-and-coming collaboration. Watch this space. In November, we prepared Galdo’s Gift for the build up for Christmas with a mini printed companion guide to the digital storybook. Gifting digital presents can be a slightly impersonal process; essentially you are sending an email. With the printed guide the whole experience of gifting is enhanced, you get to send something tangible through the post. The guide has extra details about the book and it’s characters, things to spot that you might not have noticed and is even signed by the authors (I know, so cool, huh?). Oh, plus you get some cool free character stickers. The very final part of the year has been all about preparation for the new one. Everything is aligning to make 2019 a year of exciting potential, innovation and collaboration. We look forward to sharing it with you. Hope you have a very Merry Christmas and a truly wonderful New Year. When we’ve showed off Galdo’s Gift at book fairs and the like we often get the comment ‘it must have been a lot of work’. Our most common response is ‘absolutely… actually, probably too much work’. A ‘Boovie’ is our term for what Galdo’s Gift is. Neither a book or a movie, it is a unique blend of the two. A lovingly constructed hybrid that needed it’s own name to describe how much it is not an ebook. Well, ok, it is an ebook, although it pains me to say it. I’m sorry, ebook, you’re just a bit… well… boring. There, I’ve said it. You’re grey … mostly. Sure, there are times when you break out into colour, but mostly you are happy being grey. So Galdo’s Gift is a Boovie®; a glorious technicoloured extravanganza of eccentric animation and wordplay in storybook form. As animators, we wanted to play with the idea of an old tome magically springing to life. A welcoming book that talks directly to the child. Our ethos was ‘no child left behind’; creating over 250 fun pop up definitions that are explained simply in the context of the story itself. A child can add their name in the ‘this book belongs to…’ label at the beginning to see it become part of the story. They can tap on King Galdo himself (voiced by veteran actor Brian Murphy) to hear him read the verse as the words highlight. They can find the numbers hidden within the animated movie illustrations to unlock a secret page. And all this whilst listening to a beautiful soundtack too! Yep, it was a lot of work .. possibly too much work. We are honoured to announce that we’ve only gone and won another award. At what point do you buy a special cabinet? This time we’ve won gold for Best Enhanced Picture in the digital categories of the Moonbeam Children’s Book Awards 2018. The Moonbeam Awards recognise ‘exemplary children’s books and their creators, and to celebrate children’s books and life-long reading’. We couldn’t be happier. Thank you Moonbeam. Of course we haven’t let it go to our heads. We are proud to announce that Tapocketa scooped four big awards at this year’s Digital Book World Awards. These awards recognise the ‘best of the best from across the wide world of publishing’ and Galdo’s Gift won Best Book (Overall), Best Book (Fiction), Best Book (Children’s) and Best Book (Interactive Fiction). It matters greatly that indie publishers, such as ourselves are recognised alongside those who are more established in the industry. As well as our first digital publication winning four awards, Tapocketa itself was a finalist, nominated for Publisher of the Year and Children’s Publisher of the Year on a list that included Disney, HarperCollins and Penguin Random House. Because of our haul, Tapocketa and Galdo’s Gift gets special mention in the press release. We look forward to attending this prestigious event next year. A great way to add more images/details into your business card. Trevor takes you through how to create your own 'exploding' business card. Whether you hand it out to a select few clients or just use it as a compact portfolio is up to you! A great way to fit more images or information into your business cards. Obviously, you would only hand out to a select few, as they take a little time to make but they create a bigger impact. It's not enough to write a children's book, you need to get out there and let everybody know about it! But what are some of the things you need to consider when preparing for your event? The next episode in our brand new Pixels and Paper episode is all about how to survive presenting a children's book at festivals. How to prepare for reading or performing your book at a children's festivals. We take you through our 10 key points when getting ready for the big day. Tapocketa Studio is a new indie UK animation studio who were recently commissioned by Faber Music to work with them and Keaton Henson, a musician, visual artist and poet. The brief was to create a single webpage animating Keaton’s artwork in the lead up to the release of 'The Tallowmere Annual', a collection of his works. Here, Trevor Young, co-founder and animator at Tapocketa Studio details the process and reflects on how Welcome to Tallowmere shows how not all landing pages are, or should be, created equal. Starting work on 'Welcome to Tallowmere' took quite a mental leap from our previous project, a children’s interactive book. In a brief period of time we’d gone from the colour and pomp of the land of Galdovia in Galdo’s Gift to the dark and haunting town of Tallowmere. The two places linked only by a tree swaying in the wind that caught the interpretative eye of Jack Halsey at Faber Music. He saw it as something that would work, albeit with very different styling, for the motion they wanted to bring to the artwork of Keaton Henson, a musician and talented artist whose ink wash images echo the dark melancholy of his music. One of these paintings would be animated to create an online page that would build curiosity for the release of a book of Keaton’s artworks, writings and music (the reader can plug their headphones into the book to hear a specially composed track that accompanies the words and imagery). The tree animation was the starting point. As time went on, we added animation to various other elements. Heavy clouds began to roll across the sky, telegraph cables swayed in the wind, birds darted across distant skies. Elements of the painting could be orchestrated into action at various intervals in the lead up to the book’s release. The image could evolve and that was an exciting prospect. A single cryptic social post from Keaton opened the doors to his many fans who curiously mulled over what they found, exchanging excited queries over what it all meant and puzzling over what was about to arrive. Another post from Keaton and his followers would find something strange had happened to the windows in the image. Intermittently a window would light up and become a bright cutout (alluding to images in the book that also contain objects in the image that have been ‘cut out’ to leave blank shapes). Then after a short time the window would return to it’s original state. Something had changed. Clicking on one of these windows slowly reveals a panel with an image of a long abandoned object; a hint to a story yet to be told. All this set against the eerie soundscape of Tallowmere; distant howling, the bleak wind through the abandoned streets. Stay a while and you’ll hear Keaton’s soulful piano music begin to play, a dark serenade to accompany your visit to Tallowmere. Here, a single online page could evolve and adapt over time to build a pathway to the final reveal of the book. A page that showed itself to be organic; changing and growing, hinting and enticing, adaptive and responsive. Extra info: Early stages of 'Welcome to Tallowmere' allowed visitors to register to receive notification of the final reveal. When revealed to be a book, visitors could click through to be taken to a pre-order page or, as it is now, purchase The Tallowmere annual. Ok, first things first, what's a Boovie? It's our word for something that's not a book and is not a movie, it's a hybrid of both. Every page has an animated illustration, a short looping movie that brings rich and colourful images to life (basically a very enhanced ebook -but we are not keen on the word 'ebook'). We've developed various inventive techniques for creating an animating these illustrations and were asked recently about the process and how it could help children learn when producing our first Boovie, Galdo's Gift. So we decided to make a short video to explain ourselves. It's one of our first, so please be kind. Wow, Gusto is a great guy. What do you mean you've never met him? Oh man, he's the best; gregarious, confident, nothing phases Gusto. Gusto always looks at the upside of any predicament, never wavering in his focus to brighten up any situation. He's the master of his own destiny, king of confidence, duke of daring deeds, chancellor of cheer....you know what I mean, you get the idea. Faced with a crowd of people, all staring at him, waiting anxiously for him to begin, he strides out before them like a demi-god, an unswervingly confident, lucky sod. No hat too silly, no shirt too garish, always smiling, always swish. He dons his curly wigs with flair, he doesn't care about his hair. You may know Gusto has a twin, though no one likes to mention him. Oh dear, here comes Meeker now, come on Meeker take a bow. He shuffles up to the plate, makes excuses why he's late. Mumbles his lines, drops his script, over his laces he has tripped. Getting up, he bangs his head, apologises, face turns red. He clears his throat, he sounds quite hoarse, he's lost his audience now, of course. Oh dear, why? Where did they go? They've wandered off to see Gusto. We realised we needed Gusto for all our public appearance, and did our best to lose Meeker along the way. Worrying about making mistakes, we found, is more disabling than the mistakes themselves. Throwing yourself into your performance with gusto takes people along with you. The odd mistake is all part of the show when done with flair of the Great Gusto. When it comes to preparation for a book festival reading, there are probably people who are a lot more self-confident than we are who would just turn up and see what happens. If you do this, take a well deserved bow; probably to the three people that turned up and slow clapped you as you left after your half-baked performance, away with you! Ok, some may smugly recount the the time they “didn't prepare at all and it went fantastico”; well I'm not listening -la, la, la, la. You played with the proverbial children's festival bumper box of matches one time and didn't get burnt, lucky you, smarty pants! What? You've been doing it for years? Oh right, yeah, that's the exception, I'm just talking about those who are new to this, on your way please. ...or alternatively, we may have just had a quick run through the day before. Yes, I think it was that last one. "Why is everyone avoiding us?" To be fair we had already performed a number of times at a local school, so we had an idea of what we were going to do. We knew we were going to use cardboard masks of our characters (actually, I managed to persuade Eleanor to do all the mask wearing, me wearing them would have creeped the children out). We knew we were going to get the audience to join in by helping us with the sound effects. We also knew that we needed to prepare our performance based on what we had learnt from that school booking. Oh yeah, I almost forgot, other prep stuff: we had posters made up (beautifully designed by a talented designer called Eleanor) which went up in the local bookshop a week before the event. Our friend and all round pr guru, Emma, rallied round beforehand getting us a mention on local mummy blogs and an hour or so before the performance we walked around in silly hats handing out flyers and stickers and pleaded with anyone who would listen to come and see the show or risk seeing me, a grown man, break down to a shell of my former self before their eyes. At which point many people told me that would not be necessary as they were already coming anyway as they already knew about it -the power of prep. The little critics have spoken. We have always been told to prepare ourselves, kid's don't tread lightly on your emotional sensitivities when it comes to their cold honest opinion. Well, I'm not sure that's totally true, some do but those aren't the opinions that get your attention. We take your comments seriously. We had managed to get back a large portion of the forms (see previous blog post) we handed out and it was time to sift through the results. This, together with some of the questions that children had asked on our school visit, gave us a much better overview of what appealed and what didn't when it came to our book. Some of the comments were more about our performance than the book itself (one boy remarked on the 'fat old frog king', it took a moment to realise he was talking about my character performance i.e. about me, cue slightly over-long laughing fit from Eleanor); although we were more interested in getting feedback for the book rather than our acting skills or physical attributes at this point in time. The overwhelming feedback was hugely positive (even now I can tell you are waiting for the few that weren't, you are aren't you? I can tell. Shame on you!). The favourite character from the story was Dandy Doogood. Lots of children liked him because of his fabulous hair, so there you go. We wondered if this wasn't also because he was the youngest character but that wasn't mentioned. We thought perhaps a character closer to their age wins their favour more than the older characters (particularly that 'fat old frog king -just drop it, Trevor). Doogood happened to be a character we weren't sure about previously, but he has now won our confidence. 'No! ', 'Nope', "no!!!! ", 'nothing' -the large majority -thank you! 'It was hard to keep up with the story' -Leon, aged 8 (we think this might have been partly our performance of the story but nevertheless we have since revisited large sections of the poem to better pace out the story and it's clarity and the poem is all the better for it). So just a selection there. We were happy that the overwhelming comments were great but we have not shied away from tackling the criticisms as well. There has been a lot of rewrites since our school visit based on the feedback we got from the forms and the questions. One little boy asked about why the heroes brought back what they did. That was a fair point; it is not enough just to put something into a story because you think it is funny or gross. A lot of children needed a good reason behind it as well, the detail was important. We realised that there were gaps in the story that we hadn't realised were there because we had behind-the-scenes knowledge that filled those gaps for us; we needed to pass that on. Rewrites involved adding excuses/reasoning from the heroes as to why they brought back what they did and it has added validity to the story. We have also taken onboard comments from friends who have read the story to their children. This can very much be a process of reading between the lines as naturally friends don't want to hurt your feelings. In the end you can't be upset if the response is not what you hoped on release of the book if you haven't responded to criticism on the way. It can also give you an extra boost to the creative process to hear lots of great stuff about our work too! Bob the Burger - Austin aged 10. Has a sidekick called Nigel the Nugget, apparently. Our main purpose of presenting our book to children is to get their opinions. That might sound pretty obvious but in the heat of preparations for our school presentation it was easily something that could become an afterthought. As always, we'd given ourselves an enormous amount of work to do, printing, cutting and sticking bits together to make our presentation more visually exciting than just looking at Eleanor and myself. Now you might say, if you read your book in a certain way you will bring it alive, capture the children's imagination and you won't need all those props; we needed the props. Consequently, we didn't have a huge amount of time to think about how we were going to get honest feedback from the children. We did have a question and answer session on the day, but you always feel you are missing the views from the less gregarious children and we wanted views from across the spectrum of personalities. So we decided on creating a feedback form that we could handout. Yeah boring, right? Well no! That's where you're wrong (if you thought that, I mean; if you didn't then I apologise, that was a rash and presumptive of me) we were going to make sure it was anything but boring. It would have lots of colour and things to do as well as collecting their views along the way. So one side asked a few simple straightforward questions about the book and the other side had something fun to do: Create Your Own Hero! Woo Hoo! When we got a batch of the forms back later that week, we started to realise that, far from just being a fun activity, the 'Create a Hero' side of the form actually told us something about the child who had made the comments on feedback side of the form. It was a way of getting a clearer picture about the sort of child that had decided to comment on one aspect or another. Something we will definitely consider when gleaning future feedback -find out a little bit about the person making the comment if you can! Making adjustments based on feedback can be difficult if you don't understand more about the person that gave that feedback. It could mean that you could be in danger of making a sweeping change to your story where a nuanced alteration would have been the solution. Oh yeah, plus we got to see lots of funny hero creations, plus we now have lots of funny hero pictures to post on our site (which we will do and let you know, of course). And we will discuss the feedback in future posts. The teachers were also happy with the story creation aspect of 'Create You Own Hero' (it was part of their school book week). We had given the children a chance to give their hero a score rating for strength, courage and wisdom. This 'Top Trumps' style scoring gimmick actually made the children think a little more about the attributes of their protagonist before they started their story. Yes, they could score their hero a ten out of ten for everything but does that make for a very interesting character? Isn't what makes a character interesting their weaknesses too? Even if they are a hero. One other interesting point to note that surprised me: I'm glad we handed the forms out at the end. Once those forms were in front of the children, that was it. Heads down, filling them out, all attention to us was lost. Not a bad way to finish though, we just need to make sure we never hand them out at the beginning! There is no hiding anymore, time to step into the spotlight and sink or swim. A collection of harsh little critics file into the school hall and sit down and deliver their finest harsh critic gazes towards us. This is just the first of seven sessions presenting our book to the children of Commonswood Primary School. Now, something we had created from scratch, will be laid out for children to see, and critique. We came armed with big colourful images and big colourful masks. I would narrate and Eleanor was to act out all the characters. Eleanor slapped a cardboard crown on the front of my Velcro'd head and we were away. There followed a slightly awkward, ad-hoc rendition of the book., with the children helping us by providing the sound effects such as fanfares, sword-swishing and booing (now, hold on there -we had asked them to boo, it was part of the story, honest!). We'd given ourselves a lot of mask-swapping and prop manipulation and it was quite a challenge. I can't claim that our first performance was a finely polished masterpiece, but we had given it our best shot. This was our first time after all. I was happy we had made it through. Then we showed them the trailer and explained how we created some of the characters from bits of card and showed them some of our models. Then we answered some of their questions (thankfully no 'why are you here? '), handed out activity sheets/feedback sheets (more about those in future blogs) and they filed out to make way for the next class. This was exhausting and we had only done one. Six more to go. However, as we went from performance to performance throughout the day, we got better and started to realise where to put our focus, involving the children more and spending more time showing them the models and the process. A few of the children had their photo taken wearing the masks and holding the props and they loved it. In a future blog I will detail more of what we learnt and the feedback we got. Safe to say it was a very valuable experience and I'm glad we stepped out of our comfort zone to do it. Great we've managed to book up a number of public presentations of Galdo's Gift. That's fantastic! Woo hoo! Go Tapocketa, yeah! Well, thankfully, ideas and elaboration are our strong point; our problem is time. We need to find some way of presenting our book to a whole bunch of heckling children that is fun colourful and inventive and relatively quick. We decided the best idea was to blow everything up. That is to say, we would take the illustrations directly from the book and blow them up to human size so we could perform the story at full scale. We would just need to work out how we could attach the character heads to ourselves and be able to switch them quickly. With a skull cap made from Velcro (which looked fine on Eleanor but for some reason on me gave the air of someone all prepped up for the electric chair, 'sorry, kids') and its Velcro counterpart attached to the back of each character mask; we had our quick-change system ready. Our first 'gig' would be Commonswood Primary School in Welwyn Garden City. We had initially asked if we could 'perhaps, kindly have a quick session talking to a few children about the book, if that would be to much of a problem, thank you'. Cut to: booked for seven half hour sessions each with thirty children (the last session would actually be sixty children) aged from seven to eleven, all on the same day. -'Oh, *gulp*, thank you, that sounds great'. Oh God.